As more and more private data goes public, the MLS represents a treasure trove of information. For decades, brokers have published lists of top agents in newspaper ads, but the HomeLight approach is more scientific. Agents who accept referrals from HomeLight can pump up their rankings by converting referrals at high rates. The agent-matching site recently released lists of the top Sacramento agents that clinched coverage from The Sacramento Bee, which CEO Drew Uher said is the market’s largest newspaper. Based on an algorithm, HomeLight serves up agent rankings to consumers based on a consumer’s preferences and agent performance statistics, such as sales volume, sale-price-to-list-price ratio, listing count and experience level. The site also factors in agent reviews, placing the most weight on those posted by former clients of partner agents. Agents can pump up their rankings by quickly responding to referrals and closing them at high rates. Agents cannot pay to promote their position in agent search results on HomeLight. HomeLight plans to release top-agent lists for a number of other markets in the months ahead. Uher said HomeLight covers 75 to 80 percent of the U.S. and has data on 2 million real estate licensees. The lists are also “a way for us to reward agents who have done a great job,” he said. As more and more private data goes public, the multiple listing service represents a treasure trove of information that could be helpful to both consumers and to successful agents. Like ratings, the information will also rankle those who are not listed as the top performers. For decades, brokers have published lists of top agents in newspaper ads, but the HomeLight approach is more scientific. 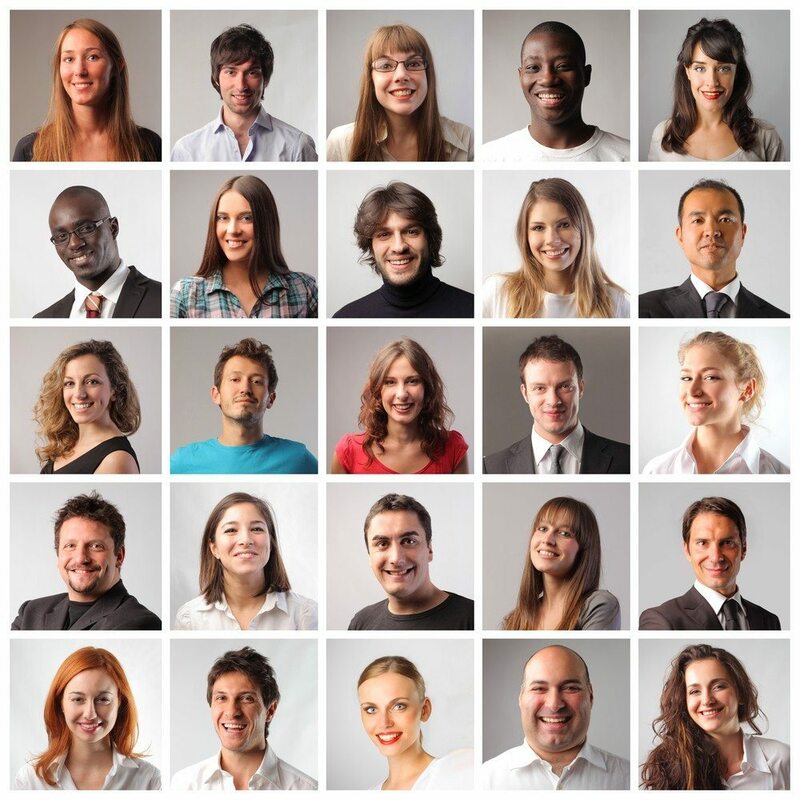 HomeLight’s top-agent lists are likely to boost awareness of the agent-matching service. HomeLight identified top performers in Sacramento for five categories: most buyer transactions, most buyer sales volume closed, most listing transactions, most listing sales volume closed and top sale-price-to-list-price ratio. 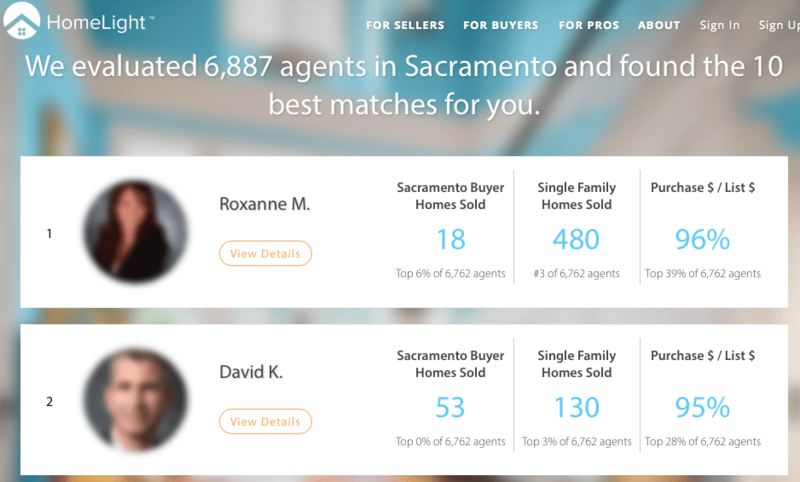 Screenshot showing HomeLight results of search for agents in Sacramento. That means the site promoted up to 200 agents (the number might be less if the same agent made more than one list). 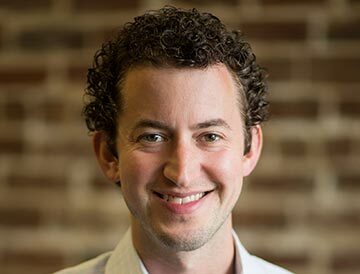 “The more success that an agent has with business that we give them, the more we reward them in our algorithm,” Uher said. Uher told Inman in February that HomeLight was typically earning a referral fee of 25 percent from agents who closed deals with leads they received from HomeLight. HomeLight has made strides in the last year, doubling its head count and boosting the number of transactions it facilitates by sixfold year over year, according to Uher. Uher said HomeLight, which received seed funding from investors including Google Ventures (the venture capital arm of search giant Google) in 2012, had closed over 700 transactions when the site announced a $3 million funding round in February. The startup has been able to increase the conversion rates of its referrals by implementing automated systems that prompt agents to provide notifications of key events, such as when they make contact with a referral, when they schedule a listing presentation, when they secure a listing and when a deal enters escrow, according to Uher. Depending on the market, HomeLight either co-represents sellers and buyers with partner agents or signs a referral agreement with them. Disseminating top-agent lists for markets across the country could boost awareness of HomeLight. Some agents won’t jump for joy if HomeLight takes off. Agent-matching sites — including efforts mounted by realtor.com operator Move Inc. (ListHub’s parent company), Redfin, the Houston Association of Realtors, NeighborCity and HomeLight itself — have all met resistance from the industry in the past. HomeLight has sourced some agent transactions directly from multiple listing services, sparking extreme pushback from at least two. Uher declined to comment when asked how many MLSs HomeLight belongs to today. He also wouldn’t name any other data sources for HomeLight, or answer specifically whether HomeLight gets some agent transaction data from ListHub, a listing data syndicator owned by realtor.com operator Move. FindTheBest displays agent transaction data sourced from ListHub. Some agents argue that displaying transaction data can shortchange agents who don’t close a high volume of deals but still might be a better fit for some consumers than top-producing agents. And if consumers are able to search for an agent by the number of listings they currently represent or have sold in the past, new agents or agents who are members of teams may also be at a disadvantage, critics say. To tackle problems posed by teams, HomeLight has developed features such as the ability for agents to upload additional transactions to their profile. While agent-matching tools may raise the hackles of some agents, services that help buyers and sellers home in on professionals based on their sales track record seem destined to grow. Zillow took a page out of HomeLight’s book in March, rolling out a revamped agent-search tool that allows consumers to see which agents in a particular city, neighborhood or ZIP code have the best reviews, the most recent sales or the greatest number of listings. Agent Ace, which always co-represents buyers and sellers with partner agents, matches consumers with agents based on transaction data, but doesn’t publish the data. In August 2014, the agent-matching service closed a $6 million funding round and began powering an agent-matching tool on U.S. News & World Report’s website. Editor’s note: HomeLight is a former participant in the Inman Incubator program.